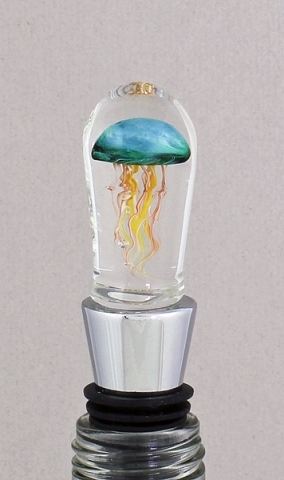 From Jeremy Sinkus - Turquoise Jellyfish Bottle Stopper - The glass part of the stopper is approximately 3" high x 1" wide. The bottle stopper measures 5" overall. Most items are in stock and available to ship within 24 hours.